Scheugenpflug supplies mixing, metering and dispensing systems for industrial materials, including resins and adhesives. With more than two decades of experience, the company is an industry leader with a track record in strong innovation to streamline and automate materials preparation processes. The company, which is based in Germany, the US and China, has a strong worldwide distribution network. Scheugenpflug products cover the entire process, from pre-heating to testing and assembly, and include everything from simple metering systems through to fully automated production lines. Electronic components need to be protected, insulated and joined. They are therefore coated, encapsulated, sealed or bonded with casting media, such as silicones, epoxies or polyurethanes. Learn how important it is to choose the correct casting resin and compare different metering and dispensing techniques to help you define the ideal combination of resin, method and equipment. Since in medical technology there is no room for compromise, superlative production quality is a must. Therefore many renowned medical equipment manufacturers choose Scheugenpflug as their trusted partner for the metering and dispensing aspects of their production. Medical device manufacturers working with liquid to medium viscous resins, particularly those that are moisture-sensitive, will find Scheugenpflug’s preparation and feeding unit ideal. Featuring a self-calibrating filling level sensor, and straightforward, low-maintenance operation, the A310 can be used for resins with or without filling materials. 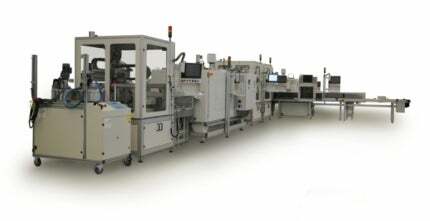 Companies that manufacture electronic components will benefit from Scheugenpflug’s production cell, CNCell. Designed for applications such as fitting and sealing PCBs and enclosures, crimping or screw driving and applying sealing beads, the modular cell is a flexible, compact solution to electronic component production. CNCell, which can be configured for automated use, is designed either as a stand-alone unit or as an integrated part of a wider production line. Scheugenpflug’s piston dispenser, Dos P, is designed to exactly meter materials, either in normal pressures or a vacuum. Used to dispense, fill, apply, seal, adhere, fix and cover, the dispenser works with a large range of materials, from liquid to highly viscous and non-abrasive to highly abrasive. With very low cleaning and maintenance costs, Dos P is an ideal dispenser choice for medical device manufacturers. The company has a long history of supplying equipment to medical engineering and device manufacturers, and our focus on precision and standardisation has made us a popular choice for companies making medical-grade products. If you would like to know more about Scheugenpflug’s products, please contact us using the form or details below. Coating is one of the most complicated steps in the production process of ignition coils. Your partner in metering and dispensing technology. Scheugenpflug's new preparation unit A310 TP is a profitable solution for accurate, high-quality dispensing in small production batches. Scheugenpflug AG welcomed more than 300 clients and attendees from 20 nations to their Technology Days 2013. The venue of the event was the recently inaugurated new production hall on the company premises.